Society members and the public were invited to attend the Cross lane Wild Flower Meadow Open Day on Sunday 21st June 2015 from 11am to 5pm. 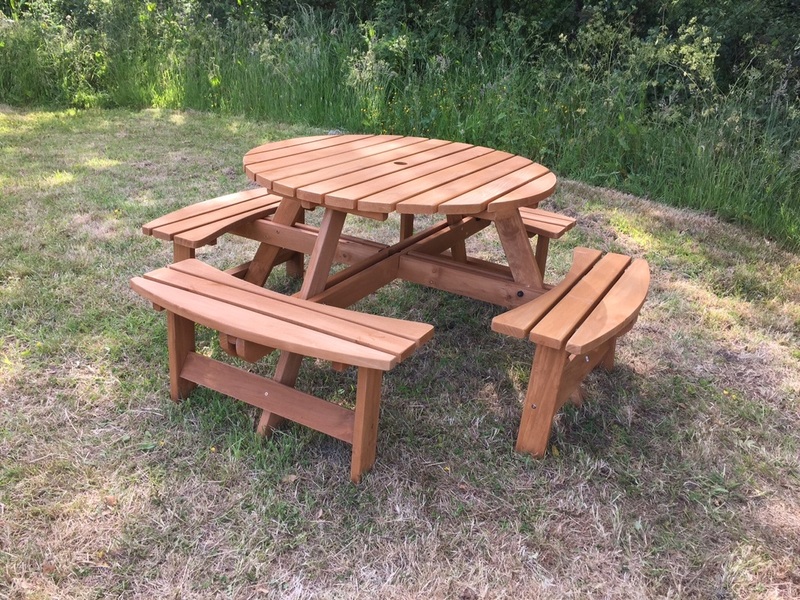 The photograph shows the new picnic table at the Cross Lane site which is now available for the use of Cross Lane plot holders. Chris Overton writes: During the open day we had over thirty visitors, at least ten were members of the public, and I think we can consider the open day a success . Everyone was very interested and supportive of the idea of the meadow and it really does add to the whole experience at Cross Lane. It is a credit to Jenny Stevenson's work in arranging the ploughing and seeding of the meadow last year and Lin Norman arranging funding for the project.